You might remember the days when the operator would instruct you to deposit more coins if you wanted to continue your pay phone call. A New Mexico company, Dialing Service, has been instructed to deposit $2.88 million for calls it already made. The problem is that the calls in question were robocalls and they were made to wireless phones without consumers' consent, thereby raising the hackles of the Federal Communications Commission. In 2013, the FCC’s Enforcement Bureau formally warned Dialing Services that it could be held liable for robocalls its customers were making in violation of the Telephone Consumer Protection Act. The TCPA prohibits autodialed phone calls, robocalls, or texts to wireless phones in most instances unless the caller has the prior express consent of the called party. 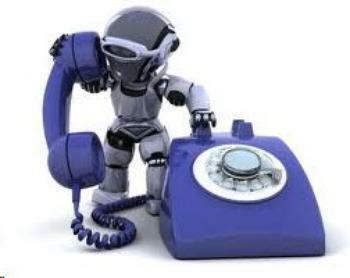 Following the citation, the Bureau investigated and determined that Dialing Services’ platform was still being used to make unlawful robocalls. The fine reflects the Commission’s determination that Dialing Services was involved in making 180 unlawful robocalls after being warned to stop. The Commission has made clear that a third party, such as a platform provider, may be liable under the TCPA if the platform provider is so involved in the placement of a call that it essentially made the call. The Commission determined that Dialing Services played a significant role in the illegal robocalls, and thus should be held liable for violating the TCPA. For example, Dialing Services’ platform automatically blocks the originating telephone number and enables caller ID spoofing.